평창 운교리 밤나무 앞 도로는 과거 영동과 영서를 잇는 중요한 교통로로, 이 밤나무 앞이 과거 운교역창(雲橋驛倉)의 마방(馬房)으로 전해지며 성황당도 있어 이 나무가 잘 보존될 수 있었다. 이 밤나무는 옛날에는 ‘명성을 떨칠 정도로 좋다’하여 영명자(榮鳴玆)라 부르며 3∼4가마씩 수확하였고 현재까지 알려진 밤나무 중에서 가장 크고 오래되었을 뿐 아니라 생육이 양호하여 재래종 과일나무로서의 학술적 가치가 매우 크다. 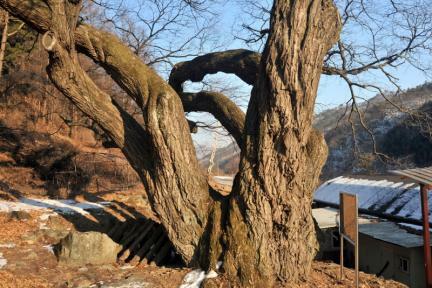 This is the biggest and oldest known chestnut tree in Korea. It looks healthy and is growing well. 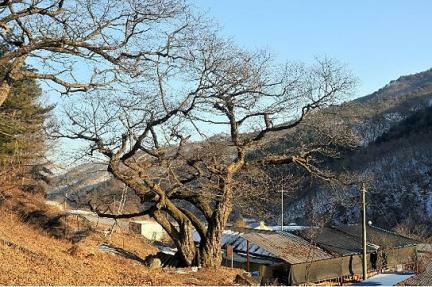 The tree used to yield three to four large sacks of nuts, befitting its nickname, Yeongmyeongja, which literally means that its fruit is “resoundingly famous.” The road in front of this chestnut tree used to be an important transport route connecting Gangwon-do and Chungcheong-do Provinces. 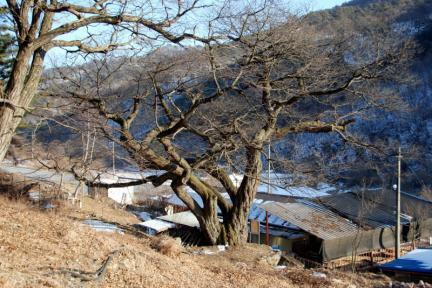 The stable of Ungyo station warehouse was located near the tree. 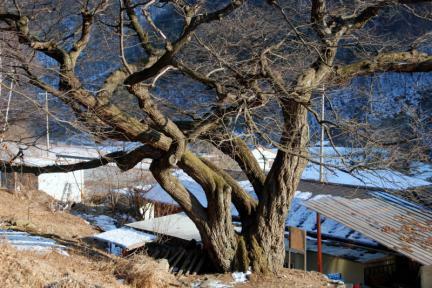 A shamanic shrine was located near the tree, offering it protection, as was the stable of Ungyo station warehouse.